A great week is approaching its end. The update is practically writing itself this week and that is primarily because of all the great input from all of you around the world, so a huge round of praise and thanks to all the contributors. I can offer stories from all over the world so let’s get started. On 8 June, the Memorandum of Understanding (MoU) between Novo Nordisk Mexico and the Municipality of Mérida, the second Mexican city to join the CCD programme, was signed at an inauguration event in Mérida. Vice President and General Manager for Novo Nordisk Mexico, Yiannis Mallis, signed the Memorandum of Understanding together with the Mayor of Mérida, María Fritz.“Today we officially join the "Cities Changing Diabetes" program together with cities such as Copenhagen, Houston, Shanghai among others. In both the state of Yucatan and it’s capital, Mérida, obesity and diabetes are among the diseases with the highest prevalence, and joining this initiative by making academia, government agencies, health institutions, patient organisations, civil societies and private sector work together will make a difference for people living with diabetes”. Novo Nordisk Mexico will now sit down with the Municipality and its Diabetes Committee and prepare a plan based on the elements of the MoU. Thanks a lot Bjørn for sharing this great update. The Beijing CCD cohort study was officially launched on June 8th. The project, led by Professor Yang Jinkui, aims to promote the application of "Beijing community diabetes diagnosis and treatment outline (2018 Edition)" in CHC. Ms. Du Hong, the deputy director of disease prevention and control department of Beijing HFPC emphasized the importance and expectation of Beijing CCD. Many CCD collaborations with different partners have been ongoing since Beijing launched the CCD program last December. One of the most important actions is establishing international communication platform between the Diabetes Society of Beijing Medical Association and Steno Diabetes Center. At the same time, with the joint effort of HE team, Zhao Chong and Zuo Yuying from DMD RMKT team, Jianwei and Jin Xin from DBD, more CCD actions, such as academic research, patient education, and doctor education projects are on track. We will continue to make effort to bend the curve on Diabetes in Beijing under CCD! Thanks for sharing Yingzhi and the rest of the Chinese CCD team. Cities Changing Diabetes partnered with the City of Vancouver to host a Health City Forum, June 14. More than 150 invited local leaders joined an engaging dialogue about how to build healthier cities for all. The cross-sector audience explored the role of cities to tackle social determinants of health as part of a municipal, national, and global movement. Veronica and Christine (with great support from Ida and Federico) connected the City of Vancouver with experts from the CCD partner cities of Rome and Copenhagen, to bring an international perspective to the dialogue. Dr. Francesco Dotta from the Health City Institute spoke about diabetes as a key indicator of health inequity in Rome, which raised profile of urban diabetes in Vancouver. Takeaways from other speakers included the need for public-private partnership innovation, and bold actions to bend the curve. Prominent Canadian health journalist Andre Picard delivered the keynote address, and emphasized that good health doesn't happen by accident - it requires vision backed by deliberate, collective action. It was valuable for CCD to support these importance conversations for Vancouver, as they move into the next four years of their Healthy City action planning. Thanks for sharing Veronica and Christine. CCD is excited to have a new partner in Vancouver: the British Columbia Diabetes Research Network, a provincial network of innovative researchers working on diabetes. They kicked off the partnership by hosting Dr. Francesco Dotta from the University of Sienna for a visiting scientist lecture. Over 30 researchers learned about Cities Changing Diabetes' important work on social determinants of health, followed by a cutting-edge research talk from Dr. Dotta. It was great to see the cross-city knowledge exchange between partners. 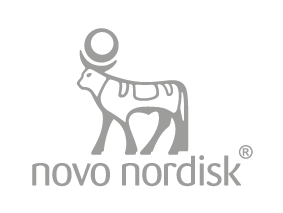 We are really pleased that Novo Nordisk/CCD has signed a partnership agreement with the EAT Foundation, during EAT Forum in Stockholm this week. EAT is a science-based global platform for food system transformation. Its vision is a fair and sustainable global food system for healthy people, animals and planet – leaving no one behind. Its mission is to transform the global food system through sound science, impatient disruption and novel partnerships. We are looking forward to a fruitful collaboration. We hit the ground running with a joint CCD/Gehl ‘Healthy Cities’ side event and Niels on stage in a lively panel debate about ‘Cities as the engine for food system transformation’. Last week we could announce that 5 posters had been selected for presentation at the European Public Health Conference in Slovenia in November. This week there was more success in the academic space as we were told by the organisers of the European Association of the Study of Diabetes (EASD), the biggest European conference on diabetes, that the two abstracts we had submitted were chosen for poster presentation. The posters with the titles “Regional burden of obesity and diabetes in adults – projections from 2017-2045” and “Local traditions and conventions impact vulnerability to type 2 diabetes”. 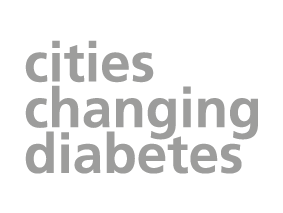 On top of that Professor David Napier and I have been invited to participate as speakers in the symposium “New approaches to diabetes risk in urban areas”. This is really a breakthrough in this area as we have not been able to get any of our previously submitted abstracts approved. This just shows the increased recognition of the importance of social factors and cultural determinants. I would like to congratulate the authors of these two abstracts.